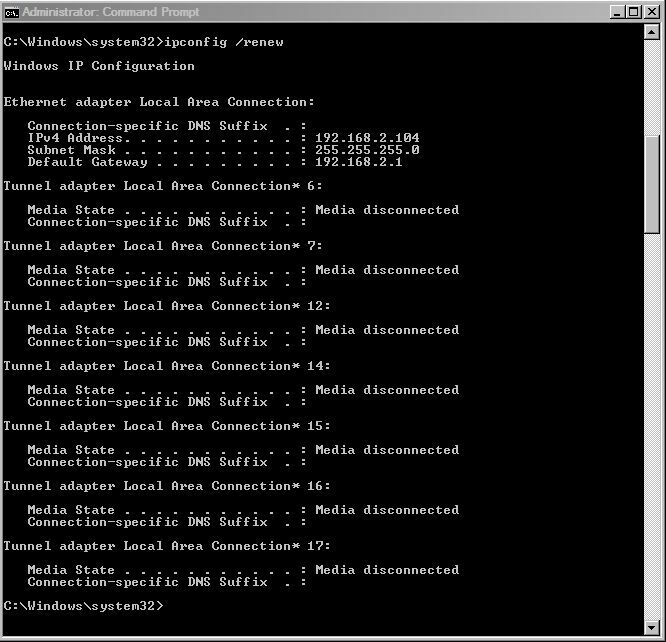 Follow the instructions below to reset the IP address on a Windows computer. 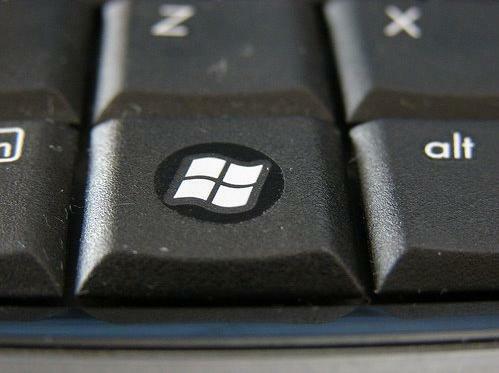 Then type cmd on your keyboard and press Enter. You will then see a screen similar to the one below. 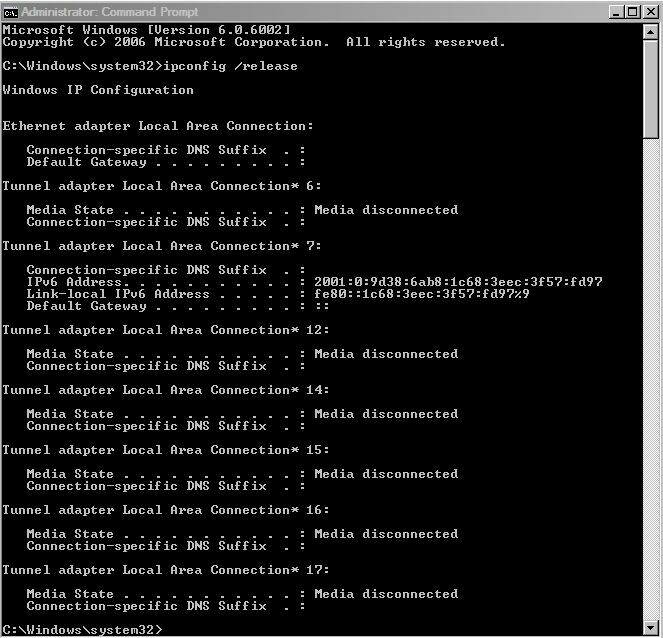 This is the Windows Command Prompt. Next type ipconfig /release and then press Enter. This will release your current IP address. Finally, type ipconfig /renew and then press Enter. This will renew your computer's IP address.